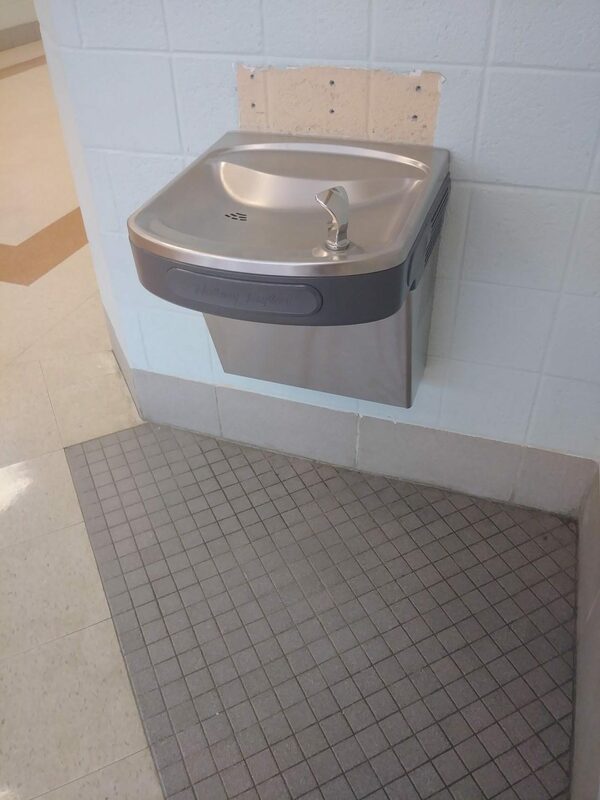 Watkins Mill High School will be having water bottle filling stations put around the school due to many student concerns. Water bottle stations were supposed to be displayed last school year. “We’re hoping to have them done no later than winter break,” school business administrator Julia Broyles said. If not by winter break, she hopes to have the stations up by summer. “The workload at the maintenance depot got to be overwhelming for their summer projects,” Broyles said. Watkins Mill has the water bottle filling stations in their possession, but has to wait for the plumbing department to come and install them. There will be three stations in total. One in the mixing bowl, one by the gym, and one outside the cafeteria. “Either the Wellness Center will be closed and right now the nurse said she’s not going to [let students use the water station] anymore, so I think it will be more efficient to have water bottle filling stations,” sophomore Angela Videglah said. Soon, no one will have to worry about drinking warm or dirty water.